Historic RARE certificate #1 from the Boston Base Ball Association issued in 1872. This historic document and has an ornate border around it and is signed by the team's President ( John A. Conkey ) and Treasuer ( George H. Burditt ). 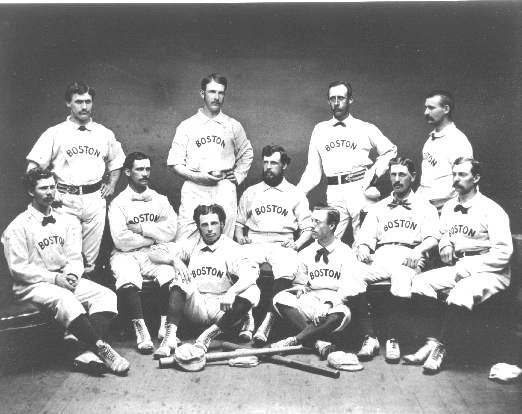 This is one of the earliest Professional Baseball teams. Some minor toning on left margin slightly cut into border folded in thirds with slight seperation on bottom portion of left fold, otherwise EF. The certificate was issued to J.S. Potter for ten shares of stock.